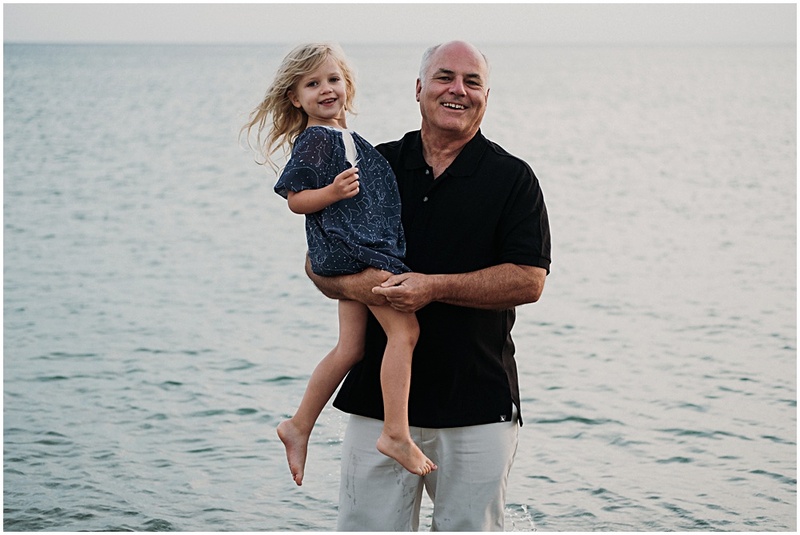 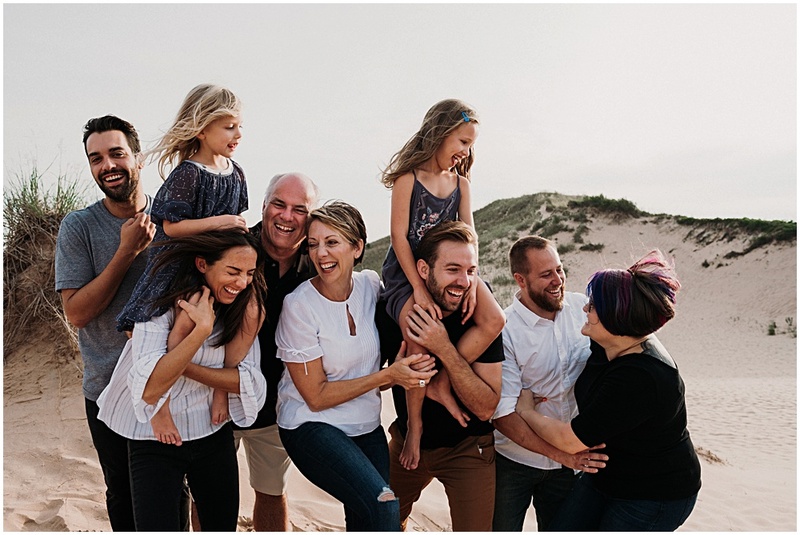 The Shields family traveled from Kalamazoo, Michigan for their Glen Arbor Family Session. 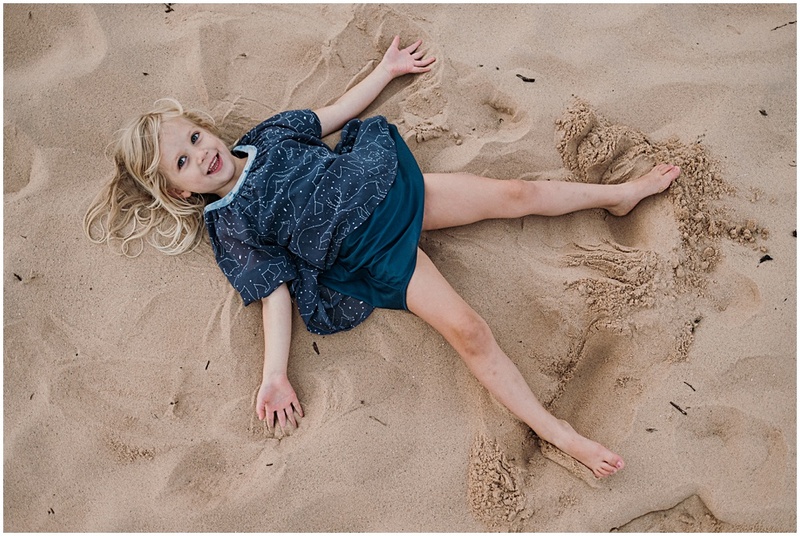 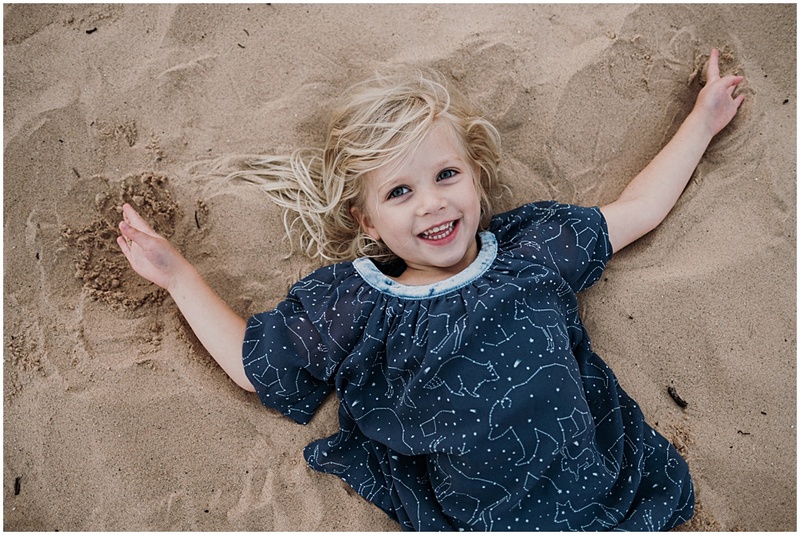 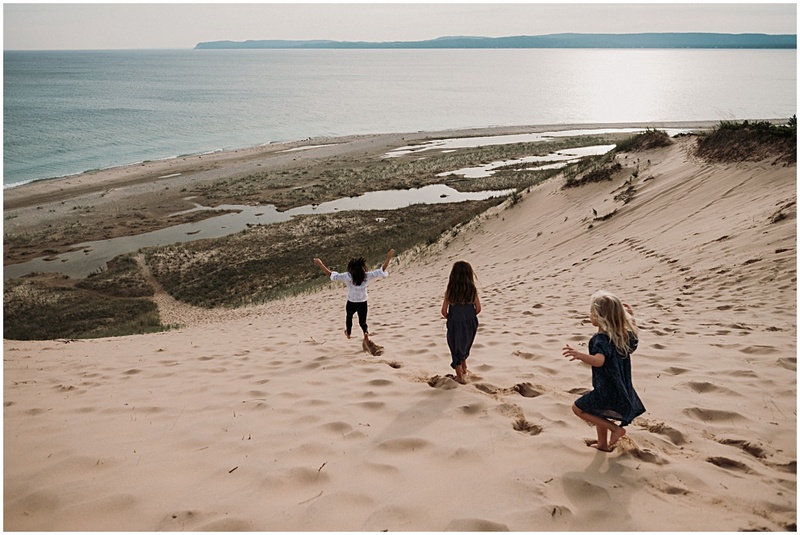 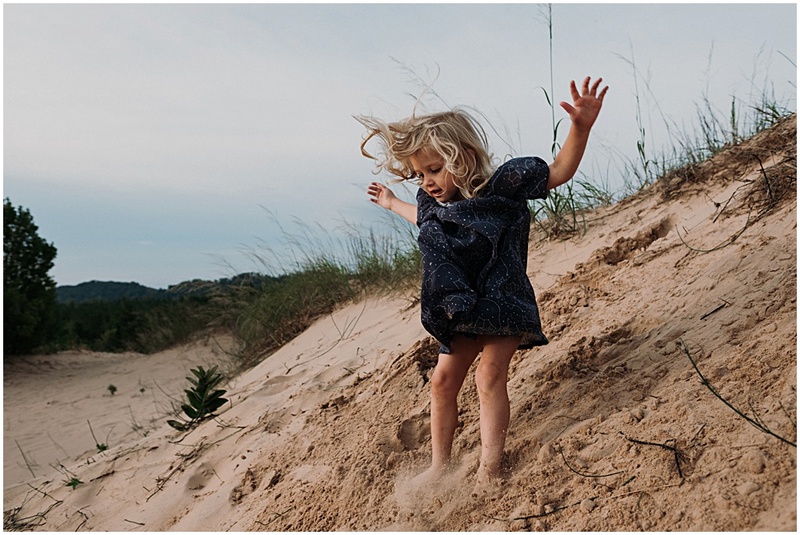 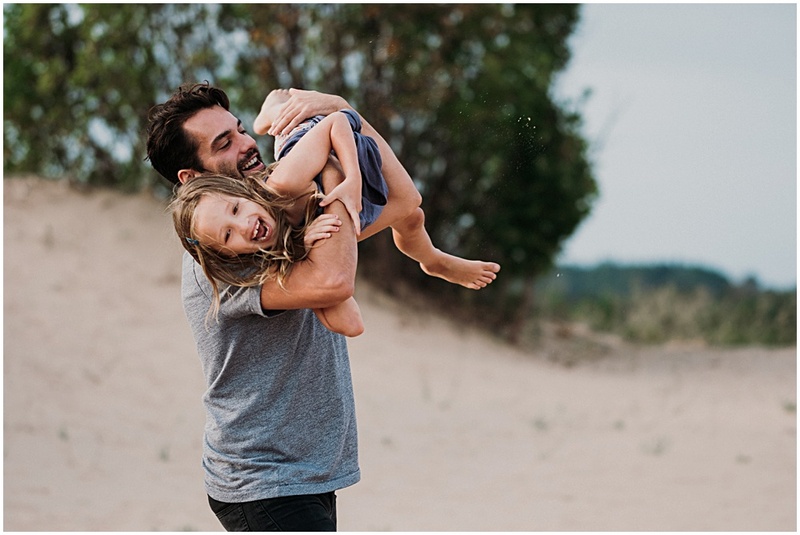 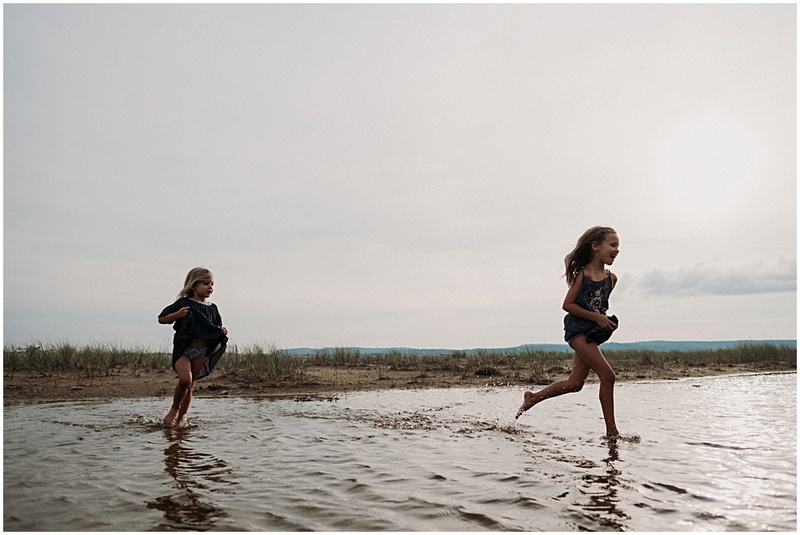 Joanna’s kids surprised her with a trip to Northern Michigan and adventure photo shoot in Sleeping Bear Dunes for her 60th birthday celebration! 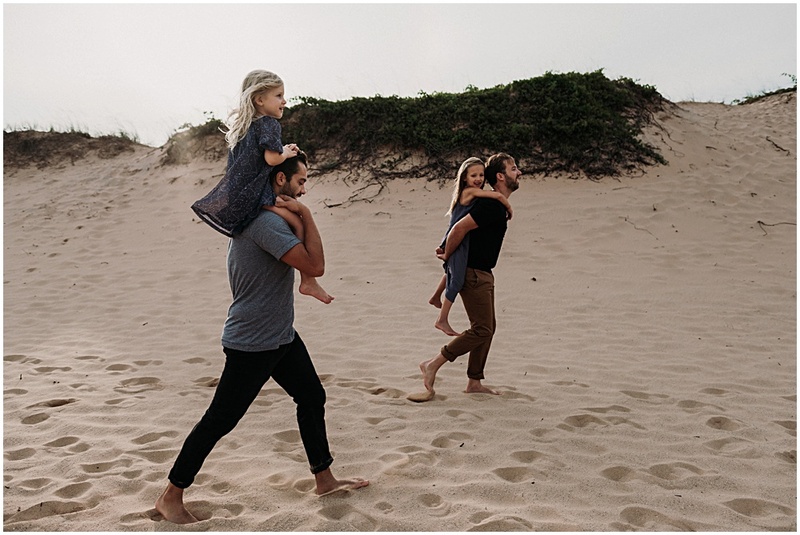 The Shields family love to travel together, camp, backpack, cook, and spend quality time goofing off and having fun. 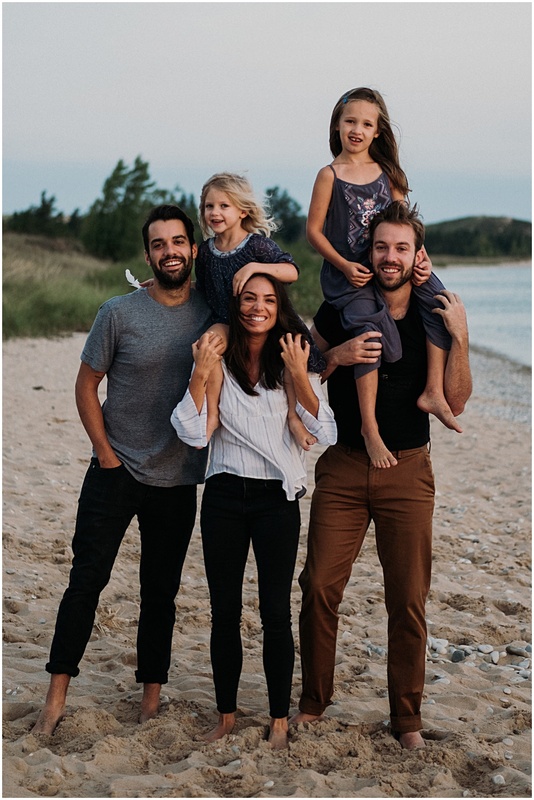 Joanna and kids have been visiting Northern Michigan ever since they were little and their favorite family hangout is Glen Lake. 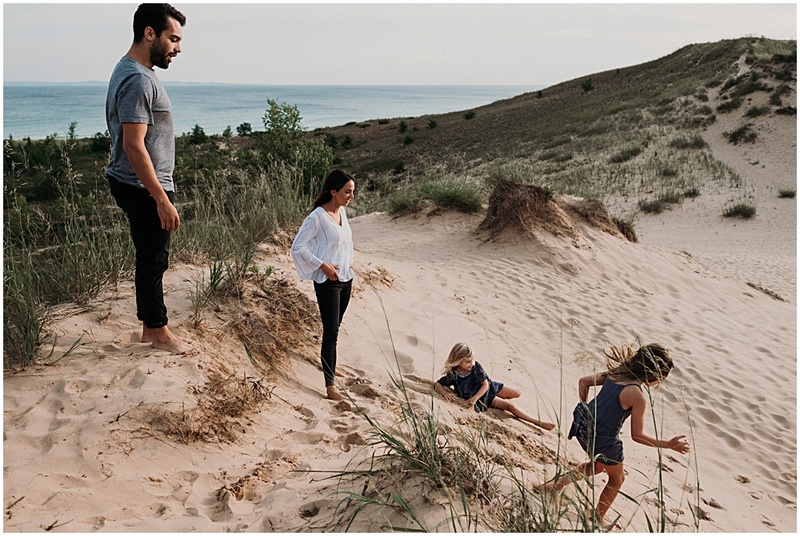 The family has spent a lot of time hiking the lakeshore around Glen Arbor and exploring Sleeping Bear Dunes. 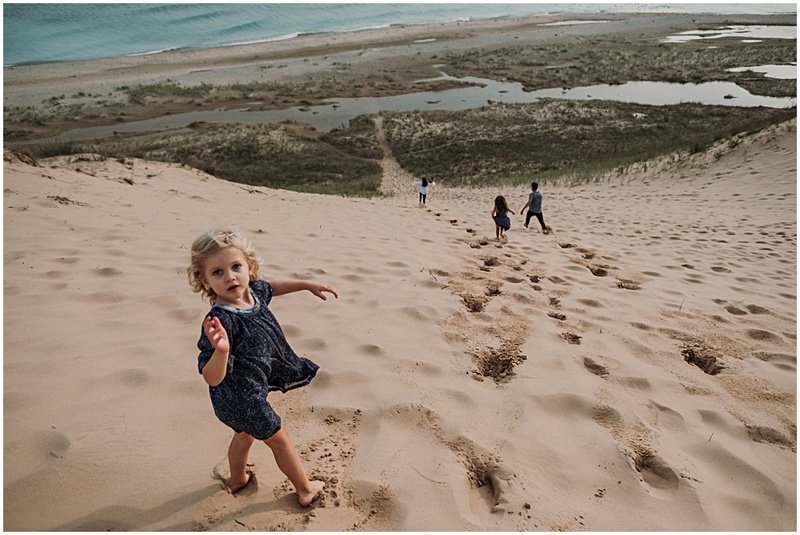 “It’s such a unique and special place, with the sand dunes and bright blue waters it feels like you could be anywhere in the world but it’s right here in our home state.” says daughter Kate. 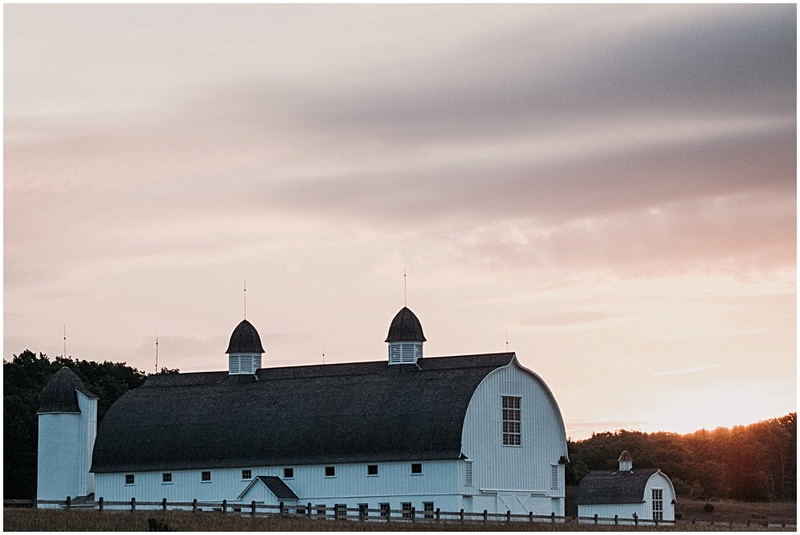 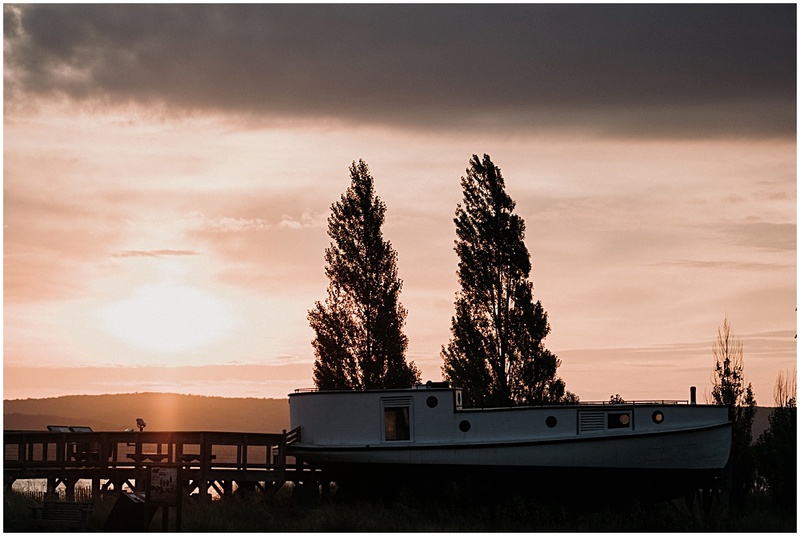 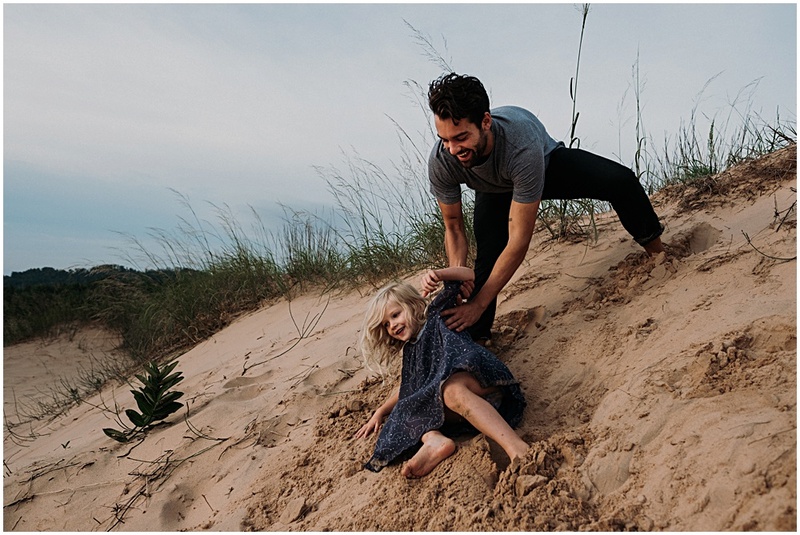 And so a sunrise Glen Arbor Family Session was perfect. 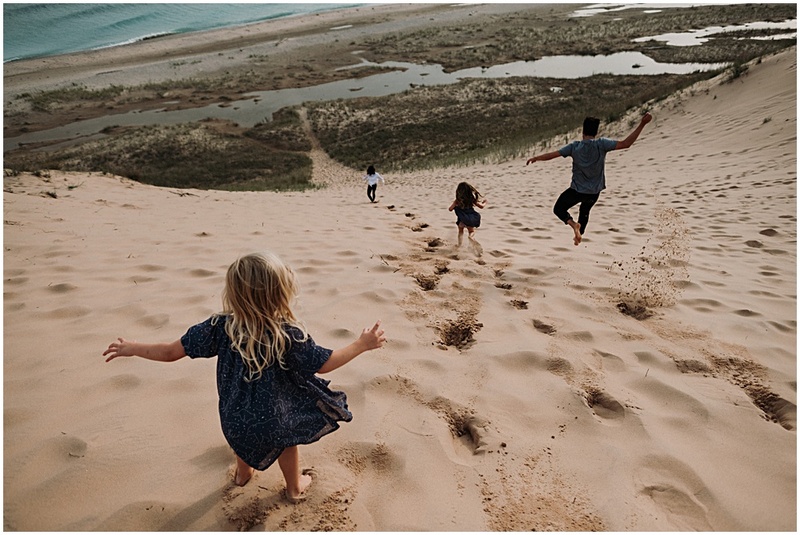 I just loved chasing this family around Sleeping Bear Dunes. 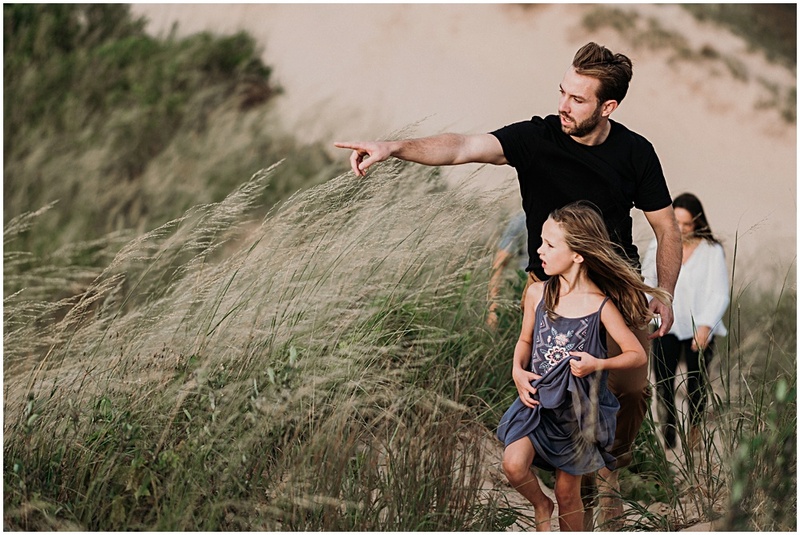 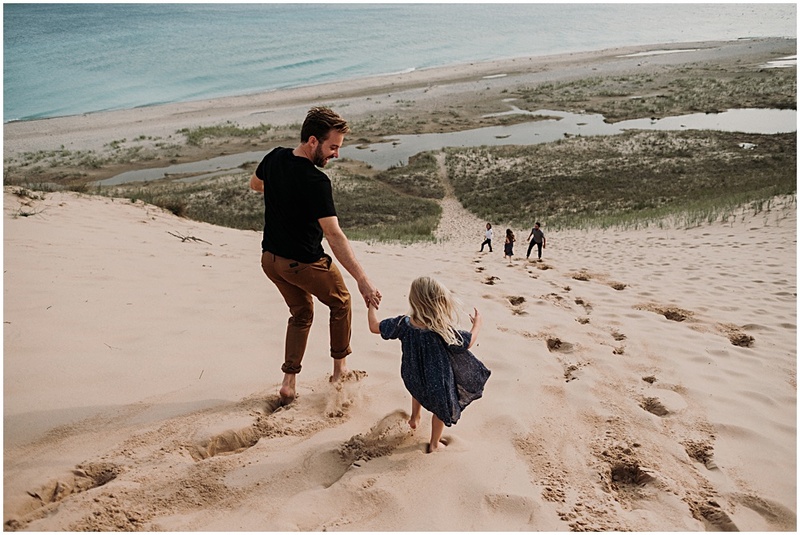 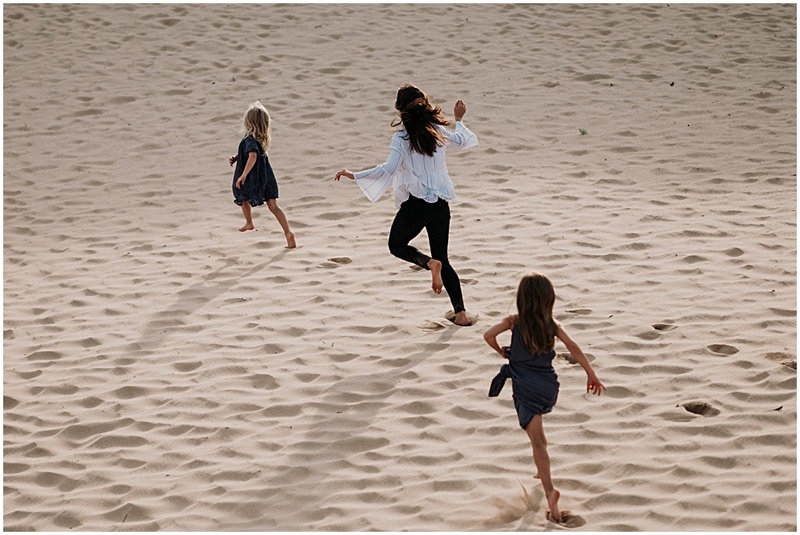 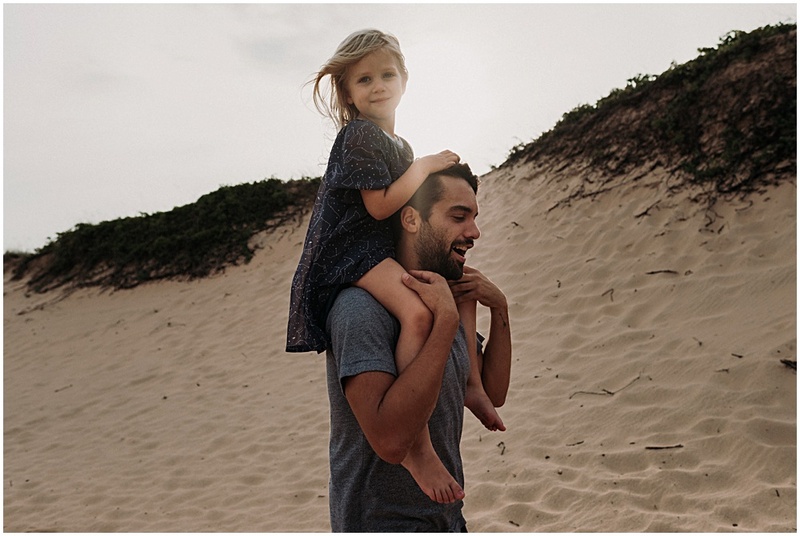 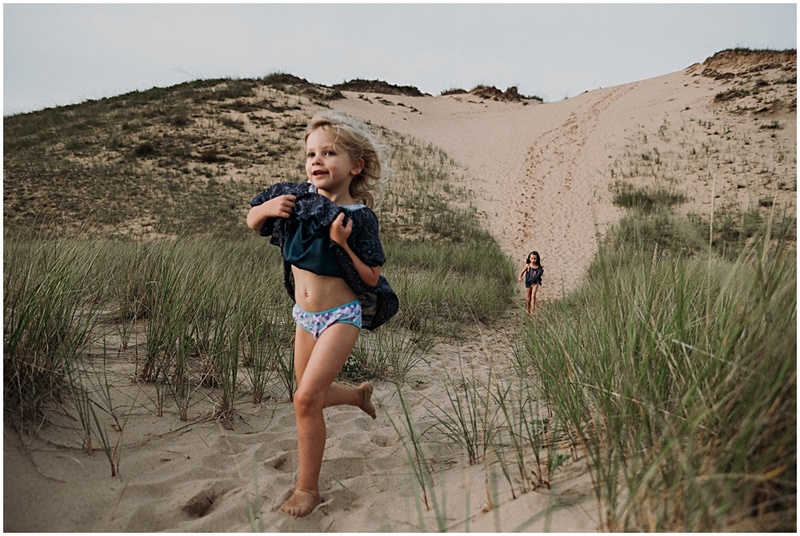 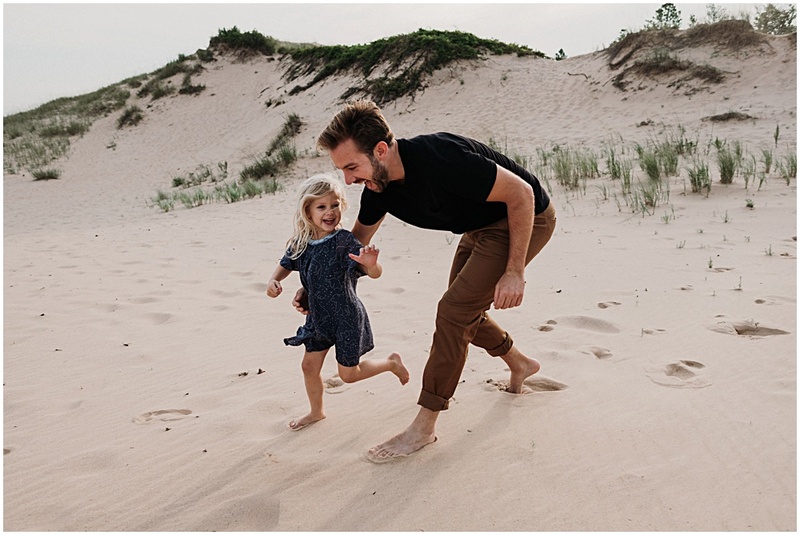 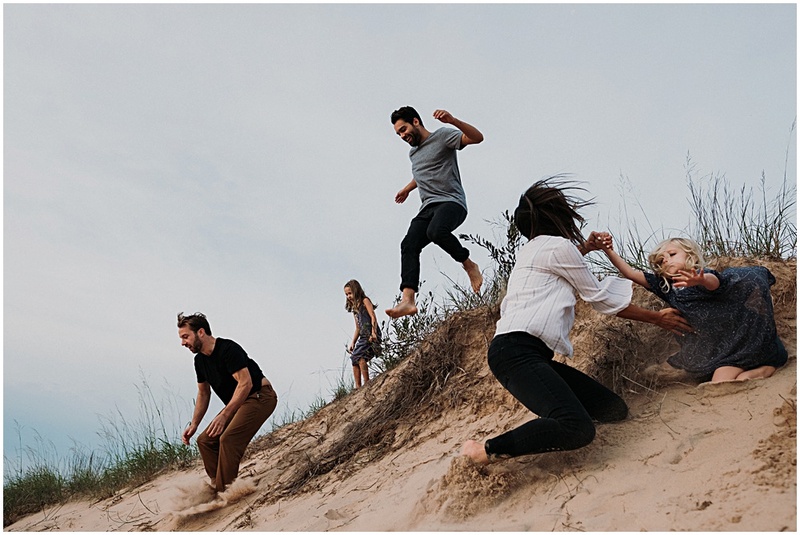 I absolutely love these lifestyle photos capturing the candid moments as this playful family jumped, splashed, and ran around the dunes. 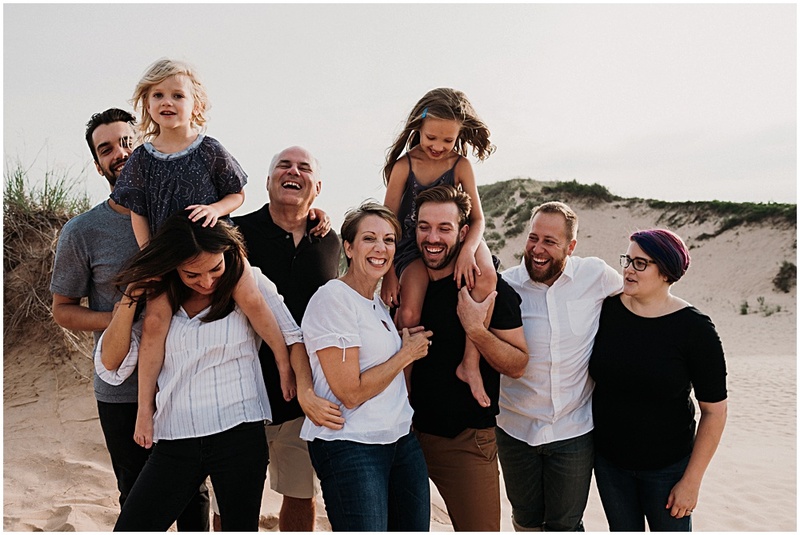 This is one of my favorite family sessions of the year! 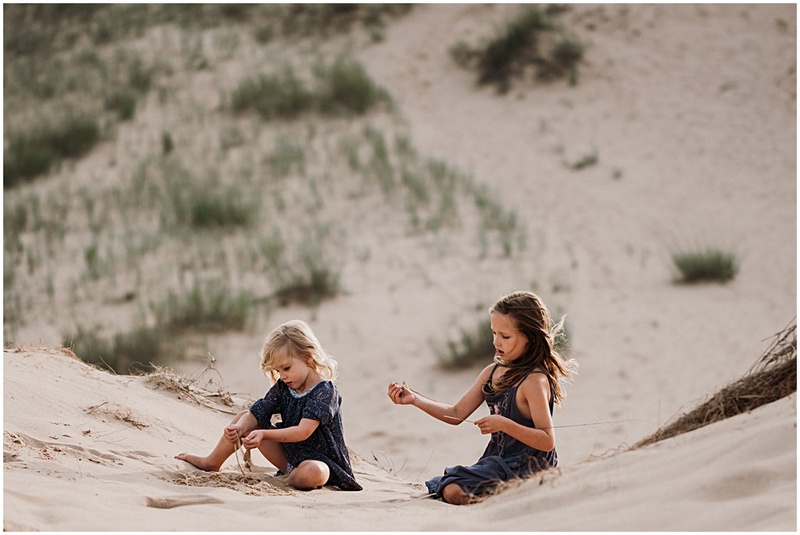 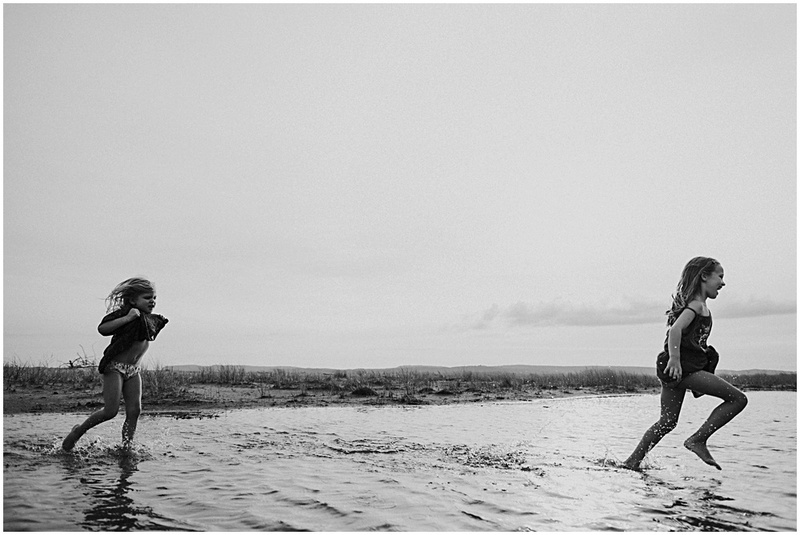 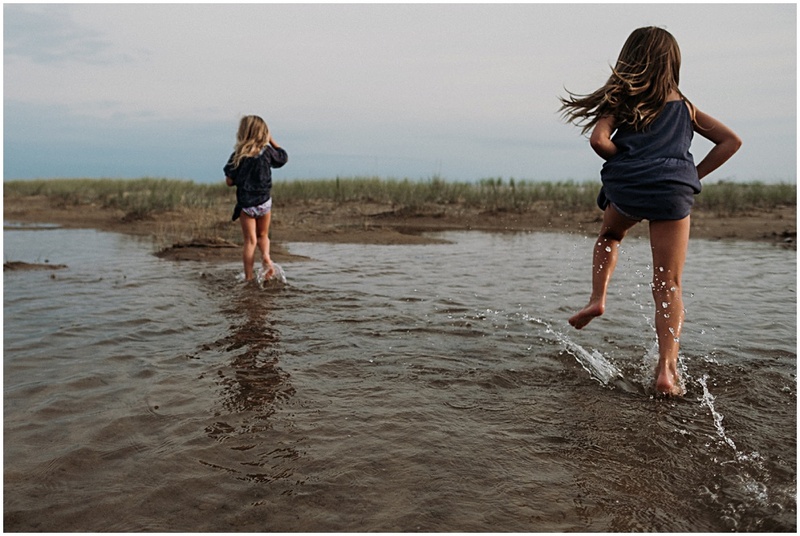 It reminds me of the family adventures I had as a kid at Sleeping Bear Dunes. 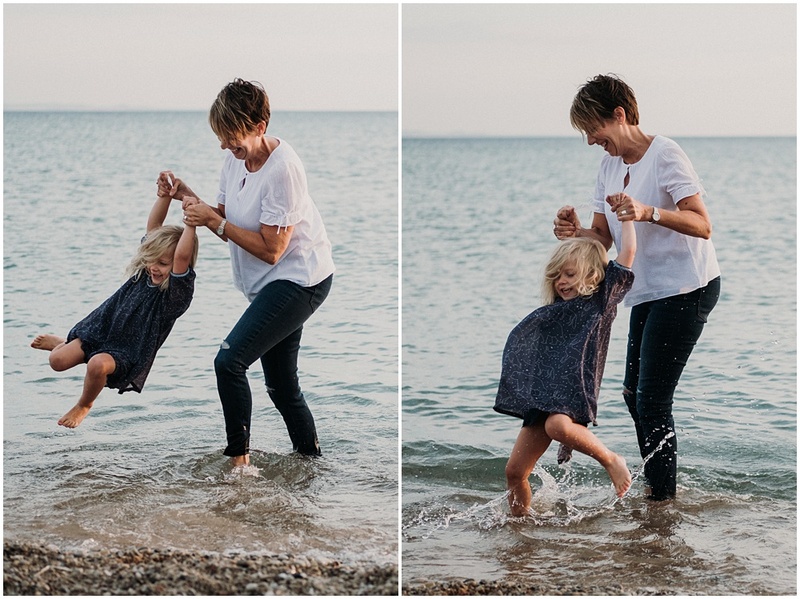 Thanks Kate! I had a great time exploring Sleeping Bear Dunes with you guys too!